Billy Coakley is one of the area’s top drummers whose creative talents have inspired a generation of drummers and non-drummers, young and old. His life’s work has enabled him to perform professionally with various artists, and as a soloist. 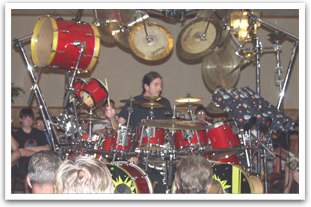 Billy is one of the only drummers to have opened for national acts with his solo drum performances.